There’s a lot of people out there who consider overeating the worst thing you can do. Especially if you’re trying to lose weight. I mean, there’s a good reason for it, and it’s not like gluttony hasn’t been vilified for centuries as one of the deadliest of sins. But when you’re trying to lose weight, one of the main misconceptions is about overeating. Overeating isn’t the problem–overeating the wrong kinds of foods is. Chances are what they were eating was candy or something like that. Something unhealthy. Something full of sugar and empty calories. Most of us have an internal overeat-o-meter that tells us to stop even when we don’t want to. The problem is that overeat-o-meter doesn’t just apply to sugary snacks. It applies to everything. Because even if you eat the entire bag of baby carrots (or whole bunch of grapes or the entire tray of apples or whatever), you’re still better off than eating a single cookie, slice of cake, or handful of potato chips. When you look at junk food that most of us overeat, there’s a single unifying factor: they hold next to no nutritional value. They are incredibly calorie dense (in the forms of sugars, fats, and other carbohydrates) without very much in the way of vitamins, minerals, and other micronutrients that our bodies need to function and flourish. 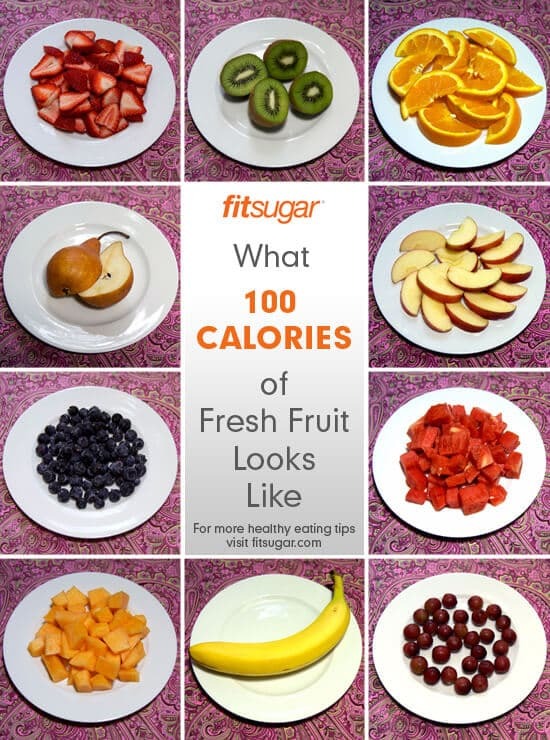 Now, on the other side of this, we can eat 100 calories of fruits or vegetables and be way fuller because of all the extra fiber that makes up most of the meat of the plants. 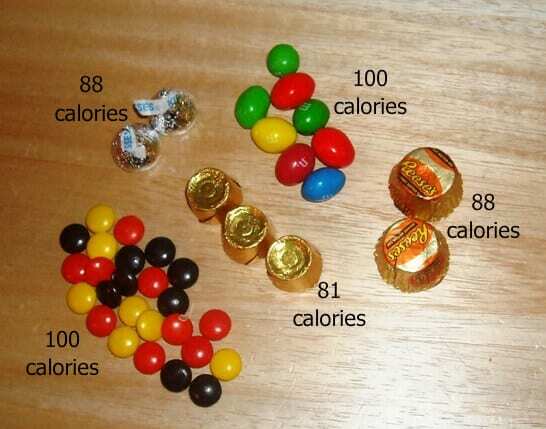 Thanks to FitSugar, you can see the difference in snacks side by side. The reason for this major discrepancy in serving size is because of fiber and water. Unlike candies and baked goods that we tend to want to binge eat, fruits and vegetables are packed to the gills with fiber and water. They’re pretty much made of the stuff. What that means for you is that inside each grape or bite of carrot, not only are you getting various minerals (which are not in junk food), the fiber and water in the plants are going to fill your tummy up way more, making it virtually impossible for you to overeat. Your stomach will get to the breaking point before you even come close to the same calorie intake as eating cookies or M&Ms or peanut butter cups. Just keep in mind, we’re talking about fresh fruits and veggies. Not dried. And not juiced. When you dry fruits and veggies, you’re removing the two most important elements of the plant–fiber and water. You’re shrinking the size, so you won’t fill up as quickly, and so you’re able to ingest far more calorie than you would if it were fresh. You still get the vitamins and minerals and other good-for-you stuff, so dried fruits and vegetables are still a much better choice than processed candies and confections. Also, keep in mind that pretty much all fruit and vegetables are still a major source of natural sugars. For the most part, sugar isn’t too bad, it’s only when sugar is processed and added to your food to replace essential nutrients that it’s evil. From a purely nutritional standpoint, your brain runs on sugar, and the amount you receive from eating your fill of fruits and veggies is never going to be enough to put you into a diabetic coma. I promise. So the next time you’re snacking and you want to just binge eat until you are 100% ready to pop, make sure you’re doing it with fruits and veggies. The more you eat, the better. I lost 155 pounds since 2010 by tracking carbs and cutting sugar out of my diet–but not once did I ever concern myself with eating too many apples or carrots. Just remember, no one ever got fat from eating too many fruits and vegetables. >no one ever got fat from eating too many fruits and vegetables. Wrong. Just like any other food, it has calories. Over consuming calories and not burning off the excess after what our body uses results in surplus. 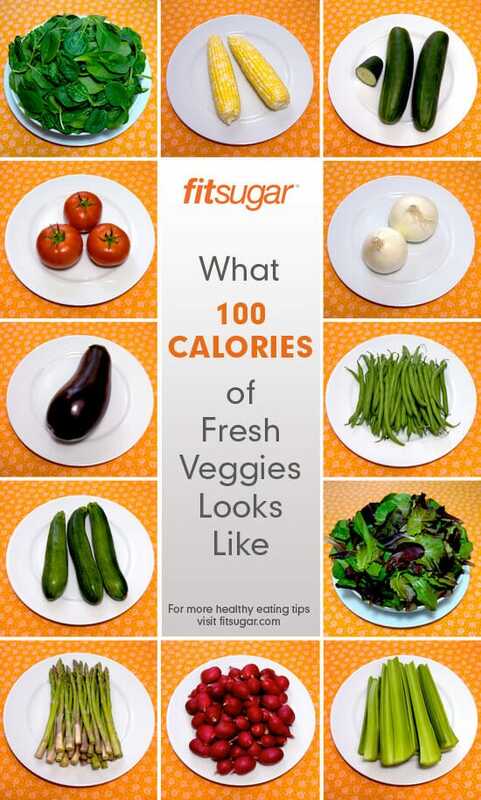 Fruits and vegetables are no exception. I know plenty of vegetarians who are overweight because they don’t know when to stop eating and don’t exercise. They’ll overeat despite feeling full. 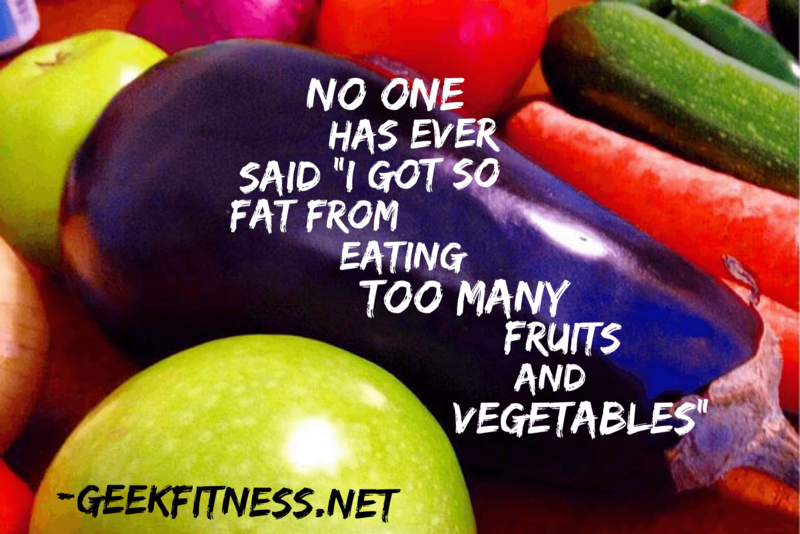 Fruits and veggies are an important part of a fat loss plan. As your article states, it makes feel fuller due to water content and fiber. However, that doesn’t mean a person won’t eat properly sized meals. There are a lot of factors involved. There are people who only eat two large meals a day. When they do this, it makes their body go into hoarder mode and hoard every bit it can. It’s why many doxtors and nutrionists will tell you to eat more, smaller sized meals. In general, you will be extremely rare to see an overweight person who sticks to a plant based diet. However, they are there. It all comes down to behavior. You’re right that it’s all behavioral–I’ve also seen overweight vegetarians, but it doesn’t come from the number of whole foods they eat. It’s the amount of carbohydrates and starches they use to pad out their diet. A lot of people who don’t know any better tend to fill the empty portions of their plates with potatoes and pastas, which while vegetarian are definitely more calorie dense than whole fruits and veggies. You’re absolutely right in that smaller meals work better (they have for me over the past 5 years as I eat about every two hours), but I never said fruits and veggies don’t have calories. They’re just not calorie dense. For the space they take up and the nutrients they provide, they’re by far the most efficient food you can eat for overall health and wellness and people shouldn’t be afraid to eat as much as they want–especially when the alternative are processed foods, equal portions of calorie-dense meats, or starches and pastas.